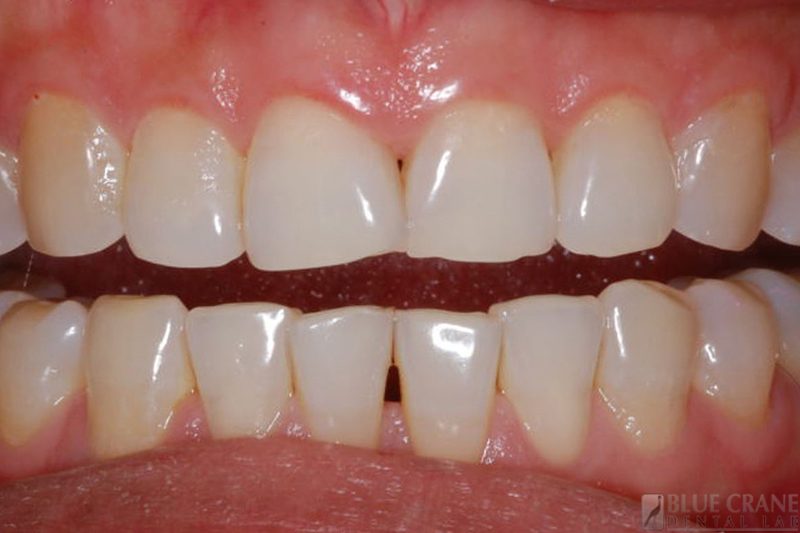 Due to the high aesthetics and high strength, the lithium disilicate glass ceramic has revolutionize the way we approach full mouth restorations. 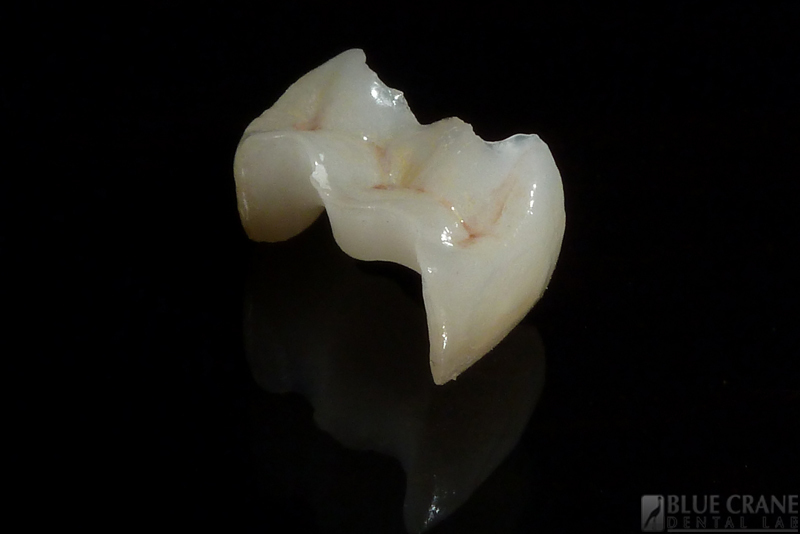 We are able to make a full monolithic posterior restorations with a strength of +/- 400 MP. 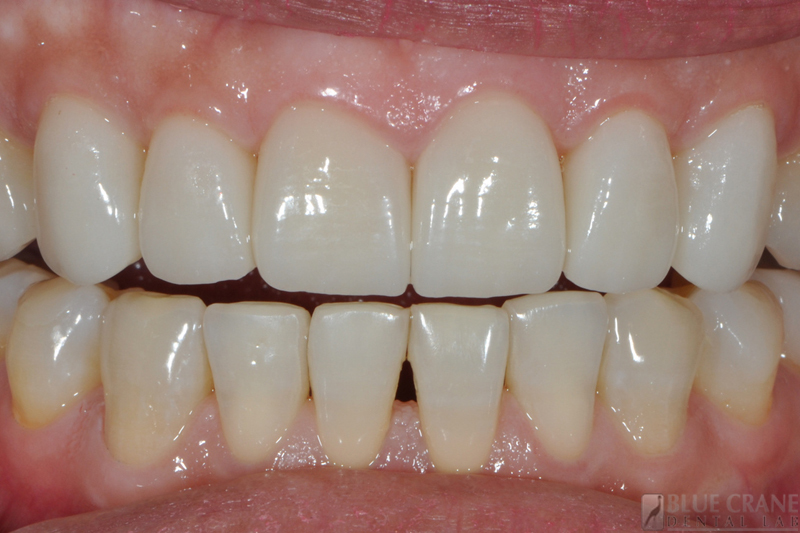 For the anterior region we are able to do a combination of minimal reduction veneers, 3/4 crowns or full crowns, pressed and layered, all in the same material. 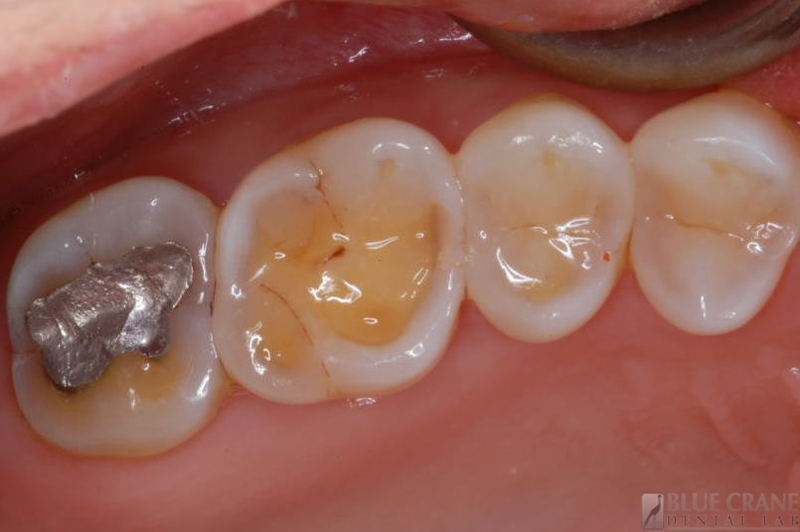 For the Dentist this means that we can approach a case much more conservatively to preserve as much tooth structure as possible. 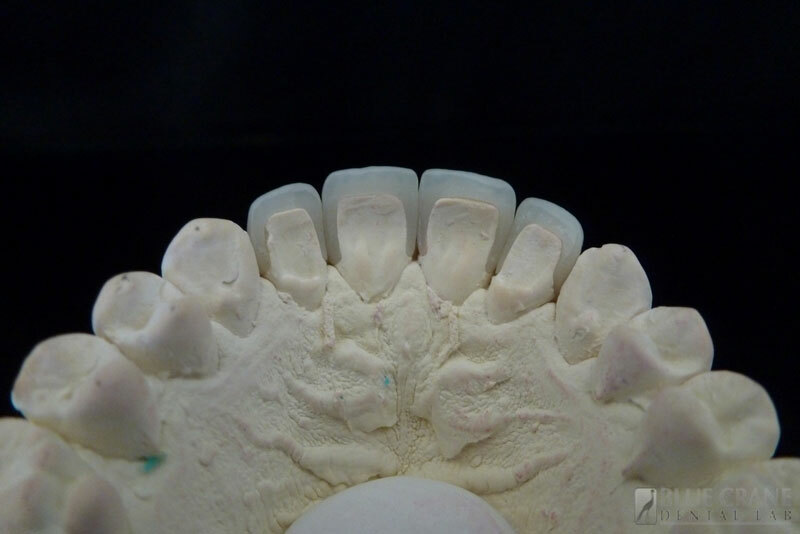 For a higher aesthetic crown in the anterior region, the lithium disilicate press material is cut-back and then layered with different enamels for characterization. 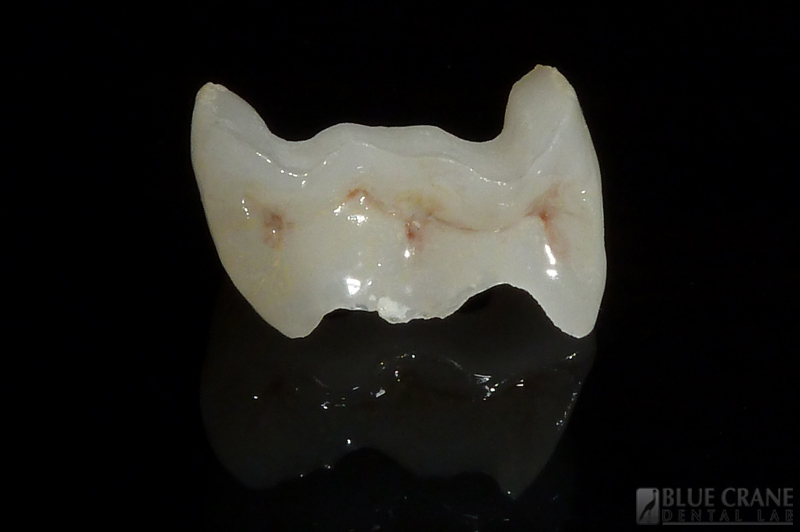 Monolithic crowns are pressed as full contour crowns, the characterization is achieved by staining the crown for the desired result. 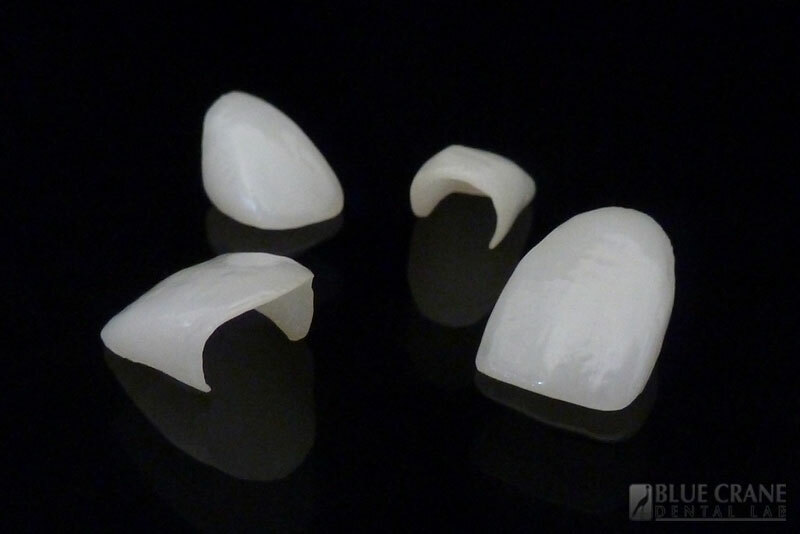 For minimal reduction Veneers, to change contour not color, the opal ingots can be pressed as thin as 0.3mm. 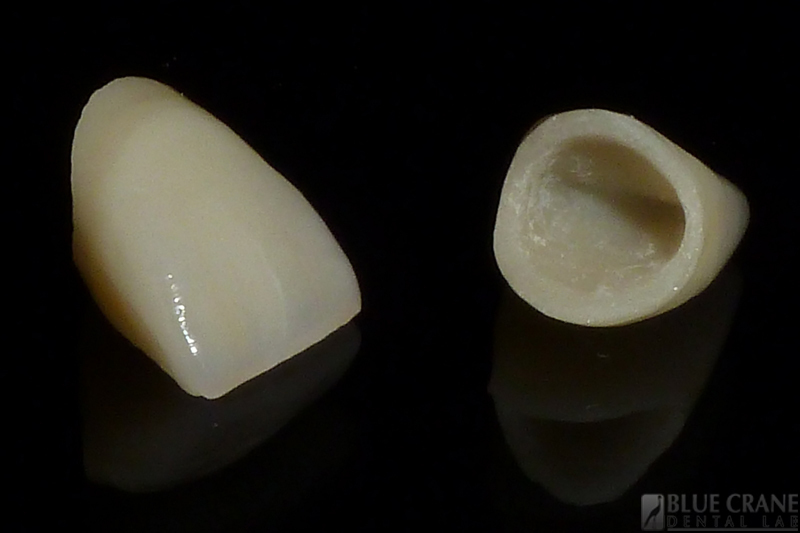 The nano-flouropatite layering ceramic IPS e.max ceram, allows us to characterize the crowns for a natural look. 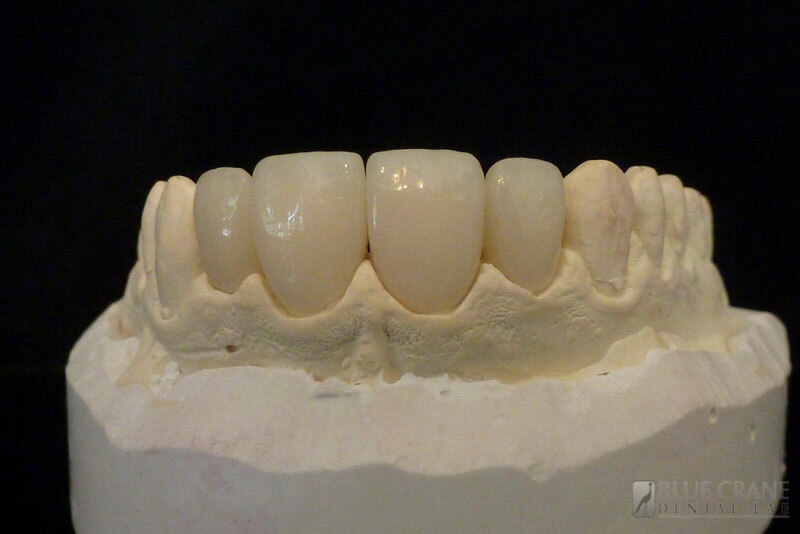 It is also used as the layering Ceramic on Zirconium oxide frames. 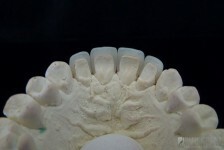 This is a technique used primarily for Posterior Crowns and Inlays. It is also referred to as a press and stain technique. 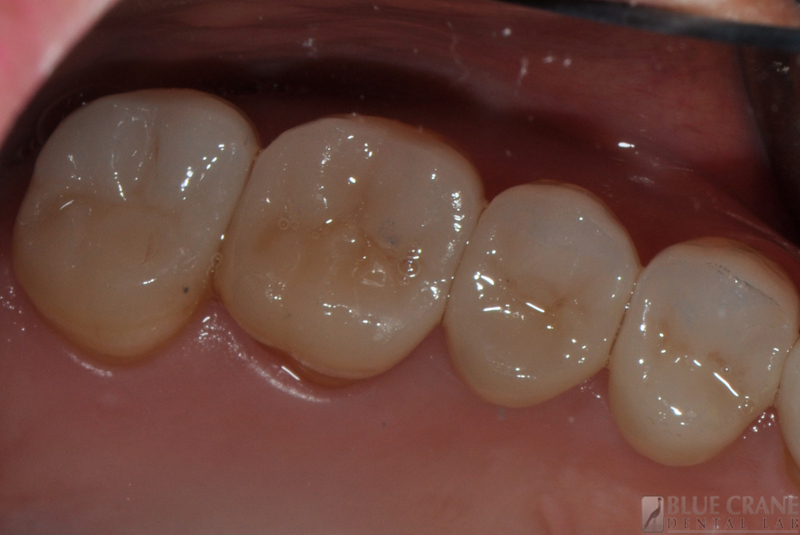 With a flexural strength of 400 MPa it is used very successfully on all posterior single crowns.